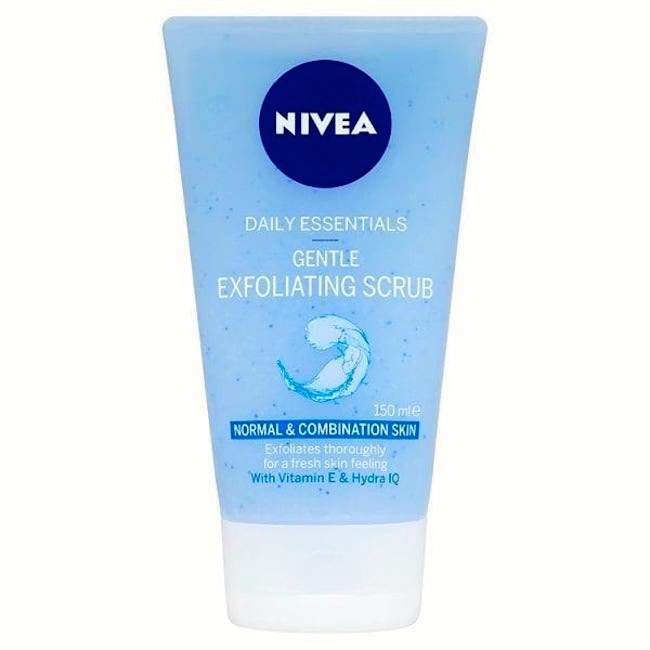 Because all the sand causes some real exfoliation. and prances in them like a pro. 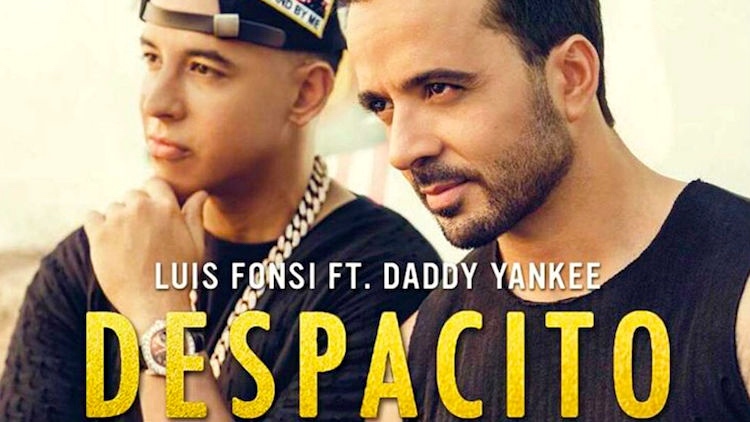 Kuala Lumpur, Malaysia (AP) — Malaysia has banned “Despacito” on state radio and television, though it might be hard to slow the song’s record-breaking popularity. The ban applies only to government-run radio and TV outlets, not to private stations or YouTube or the music streaming services fueling the song’s success. Communications Minister Salleh Said Keruak said Thursday the song was reviewed and banned because of public complains that the lyrics are obscene. Salleh told The Associated Press that a remix of the song featuring Justin Bieber isn’t affected. Salleh was also quoted by local media as saying private radio stations should censor the song themselves out of sensitivity to local culture. An Islamic party, Amanah, earlier denounced the song and called for it to be kept off Malaysia’s airwaves because many young children were singing it without understanding the words. … The original and the remix featuring Bieber together are the most streamed track of all time with more than 4.6 billion plays across streaming platforms. 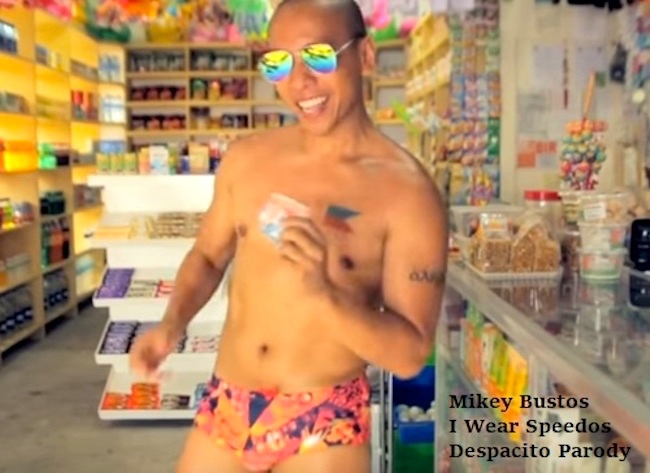 Mikey Bustos fixed on the /sito/ of Sp. despacito and heard an echo of Speedo /spido/, and he was off and running (on the beach in the Philippines, in a Speedo). You can watch the video here. Mikey Bustos (born June 23, 1981 [as Michael John Tumanguil Pestano Bustos]) is a Filipino Canadian singer and comedian who has appeared on the reality television show Canadian Idol. He is also the owner of AntsCanada, an online shop that specialises in ant-keeping. Bustos was born to Filipino parents in the Weston neighbourhood of Toronto. Before Canadian Idol, he worked as a temp at the Bank of Montreal. He attended St. Michael’s College School in Toronto. … Bustos is very open about his Filipinophilia, his popular videos cover a wide range of topics including “Filipinism”, Philippine English phonology and Filipino culture tutorials such as eating Balut (duck embryo), Filipino dining, Filipino courting, and the Filipino CR [comfort room ‘public toilet’]. He also made a parody of “Born This Way” by Lady Gaga entitled “Pinoy This Way” and has many more based on various trending pop songs. They’ll cut off my loose skin. In anatomical terms, the snood is an erectile, fleshy protuberance on the forehead of turkeys. Most of the time when the turkey is in a relaxed state, the snood is pale and 2-3 cm long. However, when the male begins strutting (the courtship display), the snood engorges with blood, becomes redder and elongates several centimetres, hanging well below the beak. Pinoy is an informal demonym referring to the Filipino people in the Philippines and their culture as well as to overseas Filipinos in the Filipino diaspora. A Pinoy with mix of foreign ancestry is called Tisoy, a shortened word for Mestizo. An unspecified number of Filipinos refer to themselves as Pinoy or sometimes the feminine Pinay. The word is formed by taking the last four letters of Filipino and adding the diminutive suffix -y in the Tagalog language (the suffix is commonly used in Filipino nicknames: e.g. “Ninoy” or “Noynoy” for Benigno [Aquino] Jr. and III respectively, “Totoy” for Augusto, etc.). Pinoy was used for self-identification by the first wave of Filipinos going to the continental United States before World War II and has been used both in a pejorative sense and as a term of endearment, similar to Chicano. Although Pinoy and Pinay are regarded as derogatory by some younger Filipino-Americans, the terms have been widely used and have recently gained mainstream usage particularly among members of the Filipino masses and the Filipino-American sector. Pinoy was created to differentiate the experiences of those immigrating to the United States but is now a slang term used to refer to all people of Filipino descent. “Pinoy music” impacted the socio-political climate of the 1970s and was employed by both Philippine president Ferdinand Marcos and the People Power Revolution that overthrew his regime. Recent mainstream usages tend to center on entertainment (Pinoy Big Brother) and music (Pinoy Idol), which have played a significant role in developing national and cultural identity. As of 2016, the term has been extensively used by the government of the Philippines itself with apparently no derogatory connotations. It is now more positive than the slang term “flip”. Puerto Galera is the north-westernmost municipality in the province of Oriental Mindoro, Philippines. It is located at the south-western end of the Isla Verde Passage, about 130 kilometers (81 mi) south of Manila. It is mainly accessible from the Southern Luzon port of Batangas, which is acting as a gateway to the city. Now the lyrics to the song (from the lybio site), notable for its many half-rhymes — for example, the run speedos, Mykonos, nachos, titos, mojitos, casino (tito: uncle; male friend of parents); the matching of recommend it with chick magnet; and the matching of kudos with Bustos. And in the middle, the noun exfoliation, which happens to have been my morning name a couple of weeks ago. But I make sure I am evenly brown. As I’m walking by I’m shaking it like jello! Because I have been dieting like crazy, I’m on Paleo. 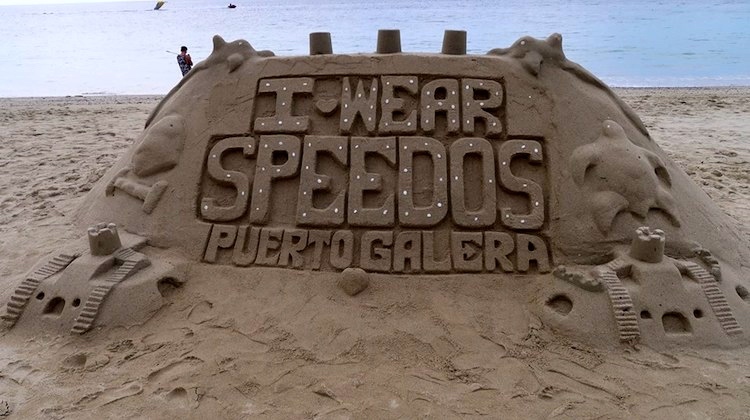 Cover your kids’ eyes ’cause I am wearing speedos. I love my speedos, I love my speedos. (#6) When I’m in the ocean I feel good emotion / Because all the sand causes some real exfoliation. This entry was posted on July 26, 2017 at 5:01 am and is filed under Ethnonyms and demonyms, Gender and sexuality, Music, Names, Nicknames, Parodies, Rhyme. You can follow any responses to this entry through the RSS 2.0 feed. You can leave a response, or trackback from your own site.